So now that I’ve got my VCDX-DCV out the way I can finally start looking at the stuff I do daily and that’s vRA. The VCP6-CMA covers vRA 6 which is a perfect fit and is a nice introduction into the CMA track that I am looking to take on next. So below I have listed all the resources I plan to use to some extent and what I would recommend to people who are looking to sit the VCP6-CMA. 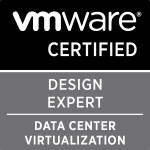 The Blueprint can be read (that right they stopped the pdf versions for some painful reason) on the VMware certification website. There are only 10 sections/objectives and most of them aren’t in depth. What I’m really happy about is the CMA isn’t like the soon to be retired VCP6-Cloud where the first 7 objectives were the same as the VCP6-DCV. Xtravirt colleague Craig Gumbley has done an awesome break down of almost all of the objectives and the places you can find out the required information. Really helpful stuff and saves all of us the time and effort of searching for all of it. Objective 4 – “Configure and Administer Tenants and Business Groups”. Pluralsight have done a large number of videos for all the VMware certifications, they currently only have an introduction video series for vRA 6.0 but it’s still a really good one even though it might apply more to the the foundation exam knowledge rather than this exam. The above training is also recommended even if you do have a current VCP. I did the ICM course for vCAC 5.1 a number of years back and it’s a really great course to give you all the essentials but my personal opinion is that just attending course won’t give you enough knowledge to apss the exam so make sure you also use other resources before sitting the exam. If you attended VMworld this year then I would recommend watching quite a few of the sessions from there although don’t watch the vRA 7.0 ones specifically for this exam but for interest sake. So that’s all the resources I’ve come across at present, I’m sure I’ve missed some so let me know and I’ll add them and good luck with the exam!